Many people rely on automatic irrigation systems to water their yards. It's a practical way to deliver water to plants without having to drag heavy hoses around the yard. You can set up the controller to water in the cool of early morning while you are still asleep. You're free to leave on vacation, knowing your landscape won't suffer while you're away. Unfortunately, many irrigation systems are set up to deliver the same amount of water to all the plants on a single irrigation line, despite the fact that individual plants may have different water needs. Because plants may differ greatly in their water requirements, giving the same amount of water to every plant on an irrigation line can be wasteful. If you irrigate according to the needs of a particular plant with high water requirements, you may be overwatering the other plants on the line. Incorporating hydrozones in your garden design will help you conserve water by making your irrigation more efficient. Hydrozoning groups plants with similar water needs together on the same irrigation line. Each line can then be adjusted to deliver the amount of water the plants need without overwatering any of them. In order to hydrozone effectively, you'll need to know the water needs of the plants you intend to use so you can group them accordingly. The Water Use Classification of Landscape Species (WUCOLS IV) is an online document maintained by the UC Division of Agriculture and Natural Resources. Based on the field experience of landscape horticulturalists, WUCOLS IV provides information on the water needs of more than 3500 plants used in horticulture in California. The original intent of WUCOLS IV was to provide guidance to professional landscapers in selecting plants for water-efficient landscapes, but it is user-friendly enough for home gardeners. The water needs of all the plants in the database are evaluated relative to a reference standard. The reference standard is a hypothetical field of tall, well-watered cool season grass. A mathematical formula using meteorological data (such as hours of daylight, temperature, relative humidity, and wind speed) is used to calculate the amount of water lost through evapotranspiration (the combined evaporation from the soil and transpiration from the leaves). In order to maintain acceptable health, appearance and growth of the hypothetical field of grass, the amount of water lost to evapotranspiration needs to be replaced by irrigation or rain. The historical reference evapotranspiration for Chico is 8.5 inches for July and 51.7 inches annually. WUCOLS IV divides the state into six different regions: North-Coast Central, Central Valley, South Coastal, South Inland, High and Intermediate Desert, and Low Desert. Chico and nearby cities are in the Central Valley. Within each region, plants are categorized into four different water-use categories: high, moderate, low, and very low. The categories represent the amount of irrigation water relative to the reference standard needed to maintain acceptable health, appearance and growth of the plant. Plants in the high use category need about 70-90% of the irrigation water the reference standard would require. Moderate use plants need about 40- 60%; low use plants, 10-30%; very low use, less than 10%. In Chico, low water use plants perform well with small amounts of irrigation water during the summer. 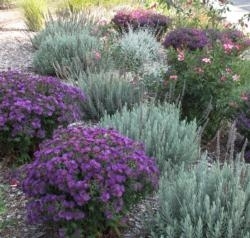 Very low water use plants don't need summer irrigation except during periods of drought. Examples of plants in the WUCOLS IV high category are birches, coast redwoods and foxglove; in the moderate category, examples include most dogwoods, azaleas and coneflower; in the low category are chaste tree, rosemary and strawberry tree; and in the very low category are olive, western redbud and toyon. Most plants in the very low category are California natives. The WUCOLS IV plant search database (http://ucanr.edu/sites/WUCOLS/) is easy to use. From the menu on the home page choose “Plant Search Database.” That option leads to the page where you select your city by region. Under “Central Valley” choose your town from the pull down menu. Chico, Gridley, Oroville and Paradise are all listed. If your town isn't listed, choose the one nearest yours. Click on “submit” to go to the Plant Search Page. There are several different options for how you can use this page. If you want to research a particular plant, enter its botanical name or its common name and then press the appropriate search button. A plant description page then pops up with botanical name, common name and water use. A search for “strawberry tree” in Chico brings up its listing with the botanical name Arbutus unedo and water use low. Some plant descriptions include an attached photo. You can also research by plant type (growth type, California native, Arboretum All Star, etc.) and/or water use by checking off the fields of interest. Pressing the search button will reveal a list of plants with the chosen characteristics. For example, if you select tree and then search, you'll see 833 trees listed along with their water needs in Chico. If you filter by both tree and low water use, the list will have 153 results. If you are planning a new garden, you can find the water needs of plants you intend to use in order to hydrozone effectively. In existing gardens, you can check the plants on an existing line to compare their water needs. If you need to add a new plant to a line, you can research those which will match the water needs of the existing plants. You may also find that you can reduce irrigation on lines that have plants with lower water needs. WUCOLS IV is a very effective tool to help you develop a water-efficient irrigation plan. 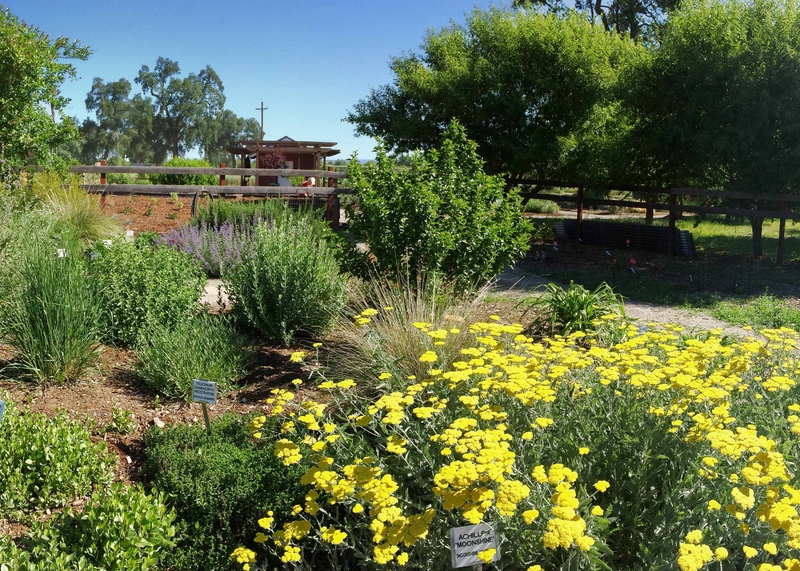 For more information on gardening in our area, visit the Butte County Master Gardener web page. If you have a gardening question or problem, call our Hotline at (530) 538-7201 or visit our Hotline web page.